Former DANS employee and controversial Bulgarian businessman, Alexei Petrov, officially announced Monday his bid to run for president in the upcoming fall elections. The ceremony has taken place at the old Turkish town hall in the former Bulgarian capital – the central city of Veliko Tarnovo. The building is mainly known as the place where the Tarnovo Constitution was signed in 1879 – Bulgaria's first Constitution after the country's liberation from the Ottoman Empire. The candidate for Vice President is Nikolay Georgiev – a scientists and researcher, IT expert, and former Military Attach? to France. Dushana Zdravkova, a former Member of the European Parliament (in 2007-2009) from the quota of the ruling Citizens for European Development of Bulgaria, GERB, party and one of the party's founders, who was expected to be running for Vice President, has only been included in the Initiative Committee endorsing Petrov. The Honorary Chair of the Committee is Professor Milen Semkov. Petrov, dubbed the "Octopus" and the "Tractor," is a former employee of the State Agency for National Security (DANS), and a shady businessman. He has figured prominently in Bulgaria's public life since 2008 when it was revealed he was an undercover agent, only for this information to be dismissed later as false. Under the cabinet Borisov, on February 10, 2010, Petrov was arrested, in a widely publicized special police operation codenamed "Octopus." He was charged with racketeering, money laundering, abetting prostitution, trading in influence and drug trafficking, spent 9 months in jail and was released on house arrest and later on own recognizance. In June 2011, Dushana Zdravkova resigned as judge at the Varna District Court in protest against what she termed the manipulated election of a Sofia City Court Chair and against the "attempts to subordinate the constitutionally independent judicial system to the executive power". 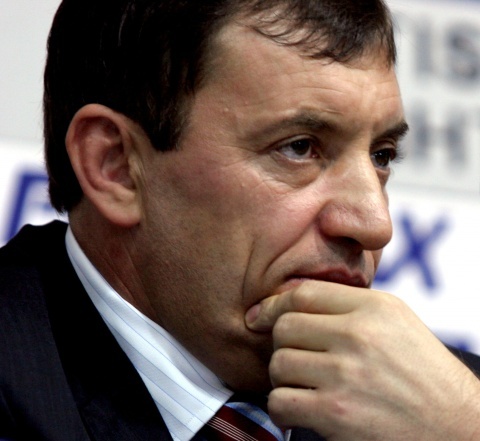 » Bulgaria's Battle for Mayors, Round 2 - Who? Where? How? » Q&A: If Elected Sofia Mayor, What Would You Do about...? » Why Do They Want to Run for Sofia Mayor?